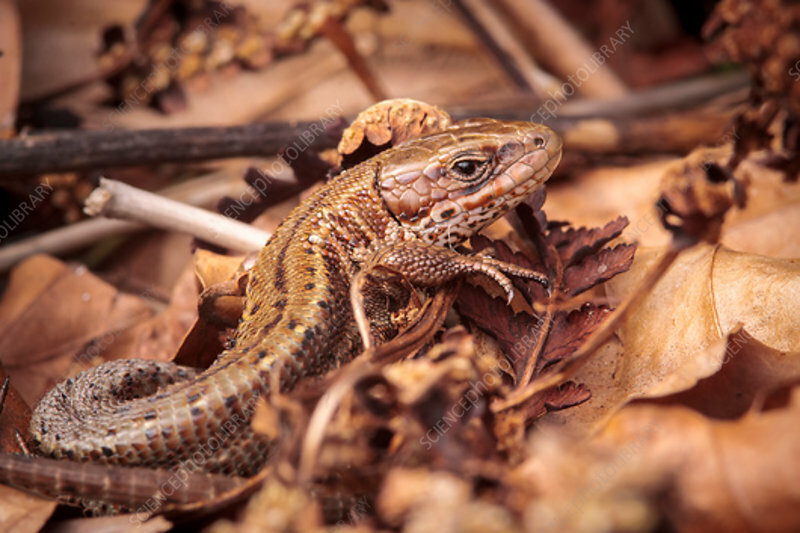 A male common lizard (Zootoca vivipara) basking amongst the leaf litter in early spring having recently emerged from hibernation. This lizard is found throughout the UK and Eurasia and the females give birth to live young, hence the name vivipara pertaining to viviparous. Photographed in Somerset, UK, in February.